It's finally Friday! This week felt like it dragged on FOREVER. In honor of it being Friday, here is my newest volume of "Five Things Friday" where I share the small things that go on in my life/classroom that aren't worthy of an entire blog post just by themselves. 1. 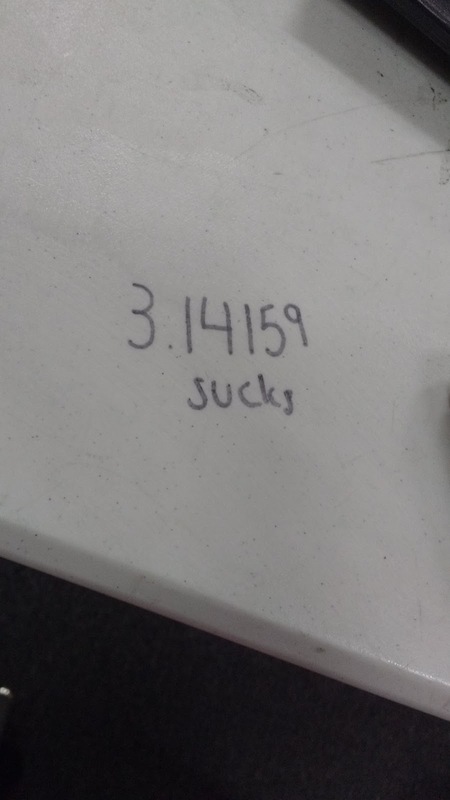 This week I happened on what is likely the most mathematical graffiti I will ever find in my classroom. 2. I got some happy mail this week from Pam Cruz. 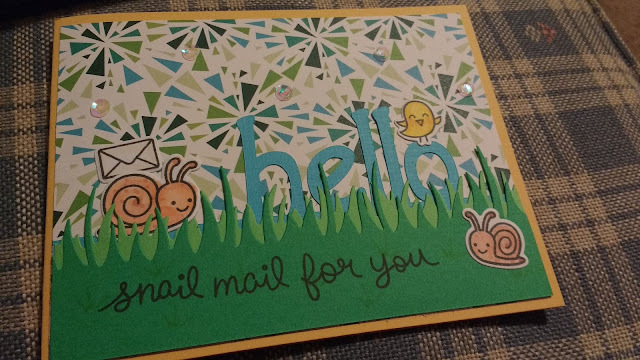 First, isn't this card adorably cute? Yes, yes it is. I tweeted recently about wanting a copy of the Silhouettes puzzle for my classroom's puzzle table. Pam printed off six sets of the puzzle and sent them my way. I can't wait to try out this puzzle with my students! 3. We *finally* started electron configuration in chemistry. I used a POGIL activity that relates electron configurations to boarding houses, and it's one of the most brilliant activities I have ever used in my classroom. 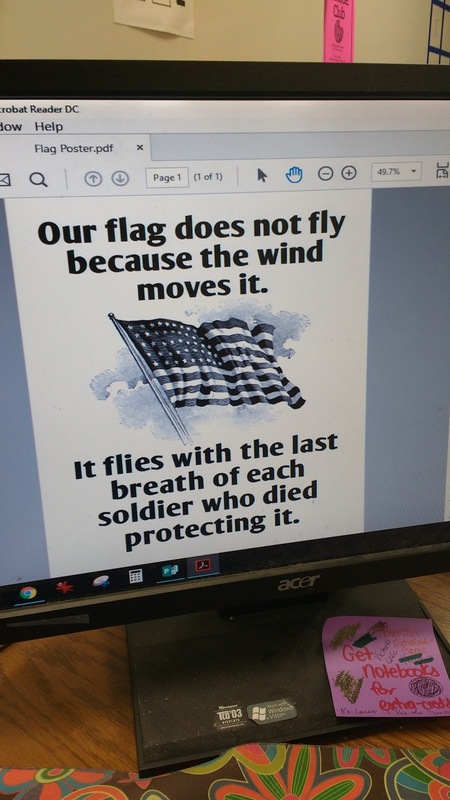 I literally had to do nothing more than print off the activity and hand it to my students. Then, I sat in my desk and pretended to get some work done. Okay, I got a bit of work done. But, mostly I just sat and eavesdropped on the incredible conversations my students were having as they made sense of electron configuration by themselves. 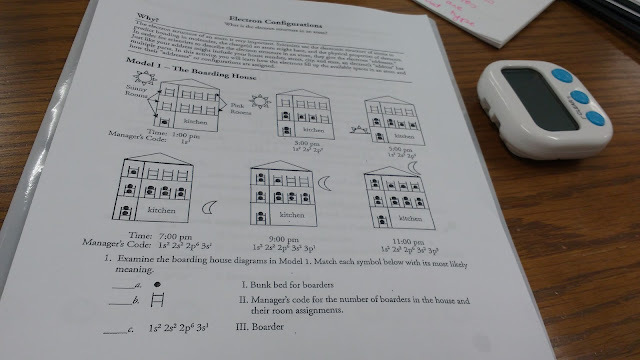 Now, I want to drop everything this summer and try my hand at writing similarly structured activities for Algebra 1. 4. I made a couple of posters for the history teacher across the hall. 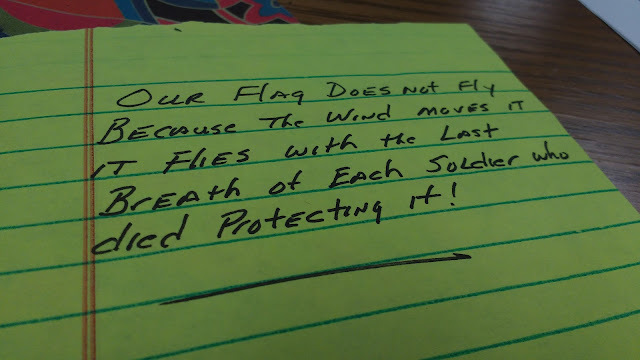 He gave me this quote to turn into a poster. I'm pretty proud of my finished product. 5. We started fractions in Math Concepts. 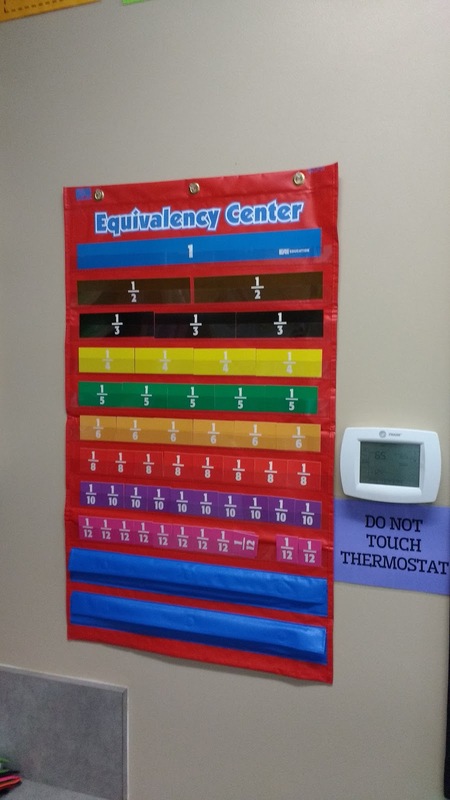 This has given me reason to add all kinds of fraction-related decorations/manipulatives to my classroom. 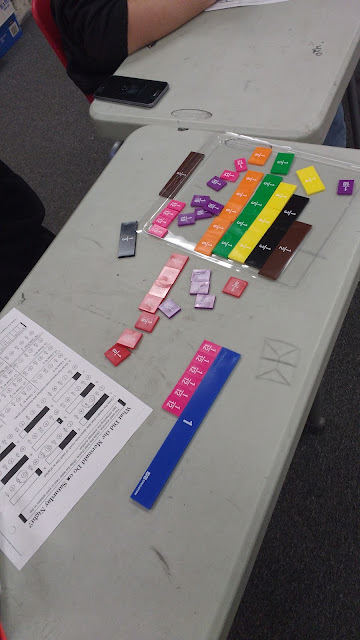 I wrote a grant through my school's education foundation this year for fraction manipulatives. With just a week of use, I've decided that they are definitely a great investment! 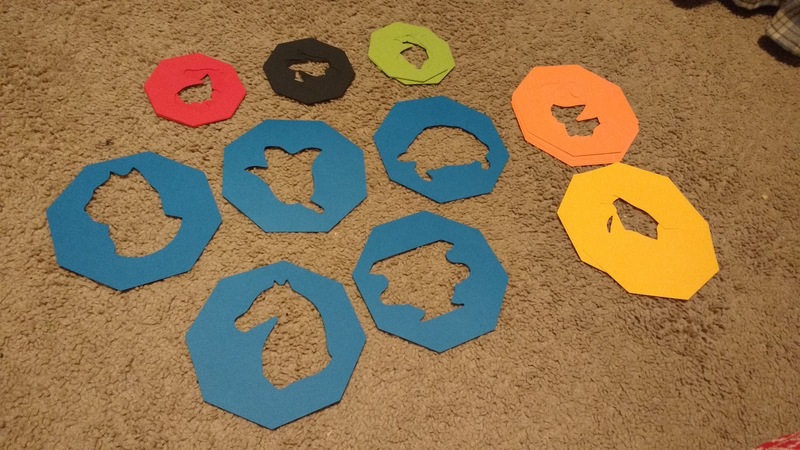 The magnetic jumbo fraction tiles (affiliate link) are probably my favorite purchase. They've even found some use in my Algebra 1 class. A student was confused this week why we changed the 2/4 in our problem to 1/2. I pulled out 2 of the 1/4 magnets and 1 of the 1/2 magnets. It was awesome to see the student's reaction when they saw that they were indeed equivalent. I love that my new Equivalency Center (affiliate link) has tiles for fractions, decimals, and percents. The pockets at the bottom hold the pieces that we're not currently using. The individual student sets of fraction tiles (affiliate link) are probably getting the most use, though. I love that students can grab a set off the back counter and take them to their seat whenever they need them. The plastic gray keeps the pieces organized which helps maintain my sanity! 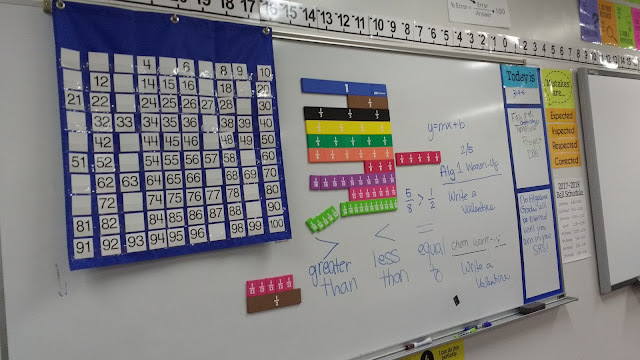 I also love that most of the time, students can use the fraction tiles while they are still in the tray without even having to take them out!